Kelly Yurko was the wig master/make-up artist for the Cincinnati Playhouse in the Park from 1989-2001. She has twelve years experience in make-up design, ventilating and construction of wigs, facial hair, prosthetics and mold making. She served as wig master for the Repertory Theatre of St. Louis, Geva Theatre, Hartford Stage Company, Ford's Theatre, Actor's Theatre of Louisville and Denver Theatre Center. 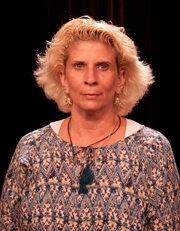 In addition she was the wig master/make-up artist for the Ensemble Theatre of Cincinnati, Columbus Opera, Santa Fe Stages and Kentucky Opera.